Venezuela was the rising star and champion of socialist causes in Americas. They helped neighbouring socialist countries economically. Venezuela got this clout not due to its huge population, not due to its military power, not due to its technological advancement but due to the huge reserves of petroleum under the ground. 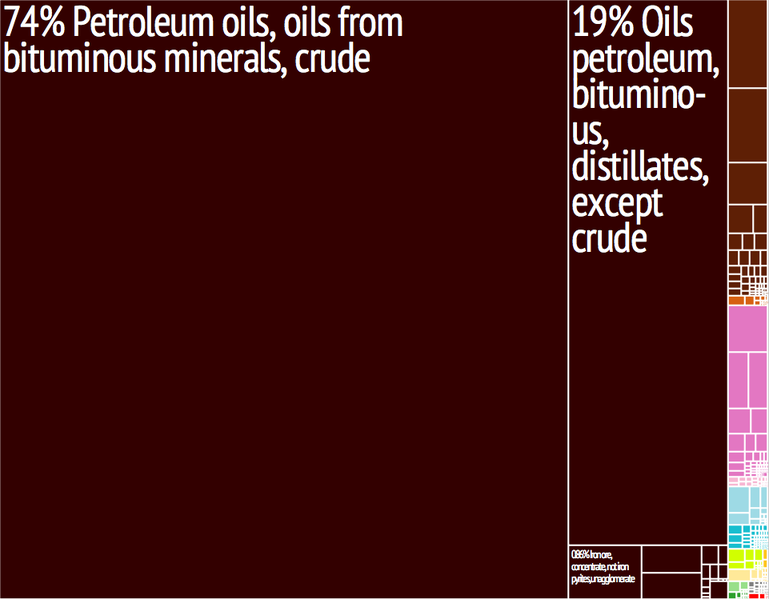 This country owns the largest proven reserves of Petroleum – a mind blowing 298bn barrels – in earth. This huge reserves were earlier exploited by elite and foreign petro companies. Like in many other petro economies here too the bounty hardly tricked down to common man’s pocket. Then came Hugo Chavez, who assumed presidency in 1999, forced foreign companies to work with state owned PdVSA. Scenario got changed; many petro billons went to state sponsored programs and neighbouring countries. During those days’ oil was riding high - more than 110$/ barrel - and everything looked green. However, administration didn’t do three things which were desperately the need of hour. 1, They didn’t invest on modernizing petroleum related infrastructure, services and improving productivity. 2, Administration didn’t create a huge sovereign wealth fund like that of Norway or Saudi Arabia. They had time and huge amount of dollars coming in; but forgot think about a future where the prices might come down. 3, Government didn’t invest in building non-petroleum industries or service industry. When Venezuelans forgot the fundamentals, this was bound to happen. Oil prices finally came down and government didn’t have a way to balance the budget. As there was nothing much to export and most other things has to be imported, money easily went out but income started haemorrhaging. This resulted in total chaos, which became an existential problem for Chavez’s successors. In 2015 alone economy contracted by an extraordinary 5%. It is estimated that the economy will further contract by another 8% this year. What we are witnessing now in this south American nation is total chaos, food riots, street violence and a state of emergency. Venezuela is an example of for all other Petro economies on what not to do. A warning sign. And for Venezuela, oil prices may go up a bit for some time. Try to invest whatever remains for building up infrastructure, industry. Try to improve the productivity of petroleum production.